Blog Quick Quotes: Winter Bliss with Susie! Hello and welcome! 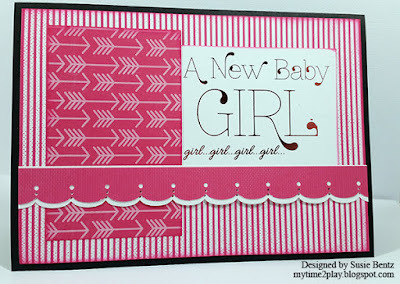 Susie hosting the blog today with a card featuring the new Winter Bliss Collection from Quick Quotes! The collection contains some really cool designs rendered in beautiful shades of pinks, blues, teals and whites. 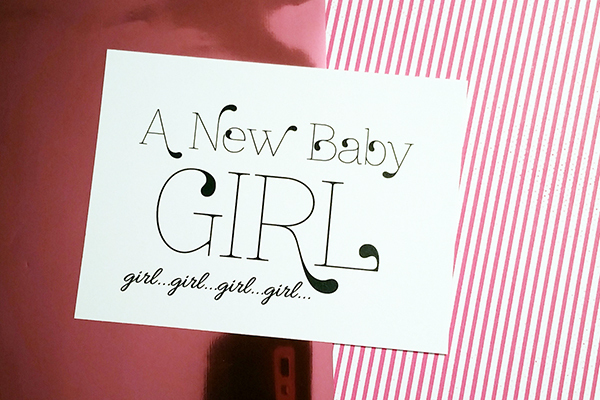 To create today's baby girl card, I selected a few of the papers in pinks and white. 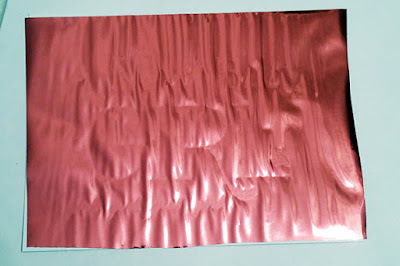 ...and when I lifted the foil I was so tickled with the results - all pink and shiny! 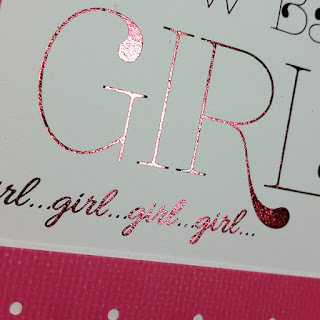 I will add that it was not a perfect transfer as some of the extremely fine lines did not pick up the pink foil, but it really is a stunning effect! 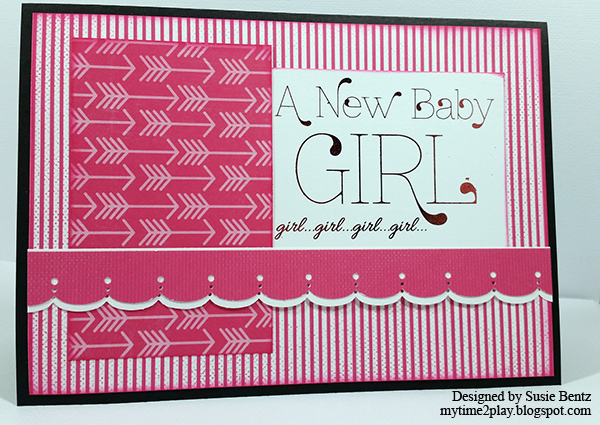 I layered up the stripes and arrows papers, inking the edges with Pixie Pink Powderpuff Chalking Ink. 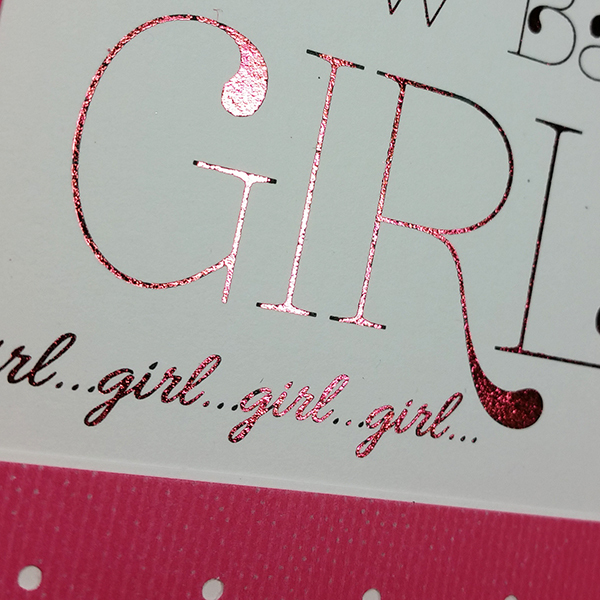 I adhered the sentiment before finishing up with a double scallop element across the card. You can see a short video clip of the reveal when I lifted off the foil HERE. 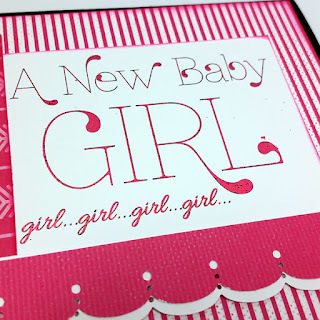 Other supplies: Therm O Web Pink Melon Deco Foil, heat laminator, edge punch, cardstock. Gorgeous card dear Susie and I love the foil over the sentiment Quote, great discovering. Thank you for sharing!